Performers include: Rami Malek, Christian Slater, Portia Doubleday, Carly Chaikin, and Martin Wallström. This psychological thriller TV series follows a young programmer who finds himself at a crossroads when the mysterious leader of an underground hacker group recruits him to destroy the firm he is paid to protect. As a senior network technician for cybersecurity firm Allsafe, Elliot Alderson (Rami Malek) protects corporate clients — including the ubiquitous Evil Corp — from security breaches and data theft. As a vigilante hacker, he monitors the people in his daily life and protects those he’s close to from their own flaws, sometimes with unpredictable results. After being arrested for financial hacking, he has been attending court-ordered therapy for almost a year — talking to therapist Krista Gordon (Gloria Reuben). Elliot, however, prefers self-medication by morphine, an addiction he mediates with suboxone. He obtains both from his next-door neighbor, Shayla. With the arrival of Mr. Robot (Christian Slater), Elliot’s world changes entirely. The mysterious figure approaches Elliot with the opportunity to contribute to a worldwide revolution. Mr. Robot has a murky history but he has huge plans for the future. He recruits the members of fsociety to come together at an abandoned arcade — and is relentless in his leadership of the team. Fsociety’s members and mission offer Elliot a renewed purpose — though accompanied by a risk of heightened paranoia. Darlene (Carly Chaikin) is a malware coder whose skills are fundamental to fsociety’s master plan. Though biting and jaded, she becomes Elliot’s confidante. He relies on her resilience and creativity for quick problem solving and fast hacks. She is an excellent lock picker, a crass jokester, and a jobless transient. She obtains money from hacking ATMs. At Allsafe, Elliot works with Angela Moss (Portia Doubleday), an account executive and his childhood friend. She is ambitious but lacks confidence, savvy but lacking technological skills. She relies on Elliot for assistance in critical situations — in both business and her personal life. Angela’s mother died when she was young, from cancer which developed after her exposure to toxic chemicals at a factory owned by Evil Corp. She has a strong relationship with her father, Don, though events at Allsafe begin to strain their relationship. After a hacking scandal, Tyrell Wellick (Martin Wallström) was appointed Interim Chief Technology Officer at Evil Corp. The job is a position he intends to make permanent, no matter who he has to impress or suppress to achieve this goal. What do you think? Do you like the Mr. Robot TV show? Do you think it should be ending or have been renewed for a fifth season? please please please renew it, you have to. it’s the most clever, thought-provoking show on television right now, one of the only ones that isn’t cheap or cheesy or simplistic and keeps surprising viewers. the best thing since breaking bad, and better. the low ratings aren’t even genuine, so many people watch it on amazon prime video, doesn’t that count? 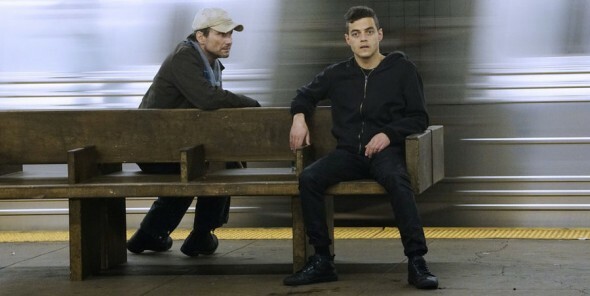 Mr Robot is by far my one of my favorite shows coming in second to Game of Thrones.It’s clever,original and dark.Tge acting phenominal.Can’t wait for it to come back on !!!!! !